ACE, THE HELPFUL PLACE. WE'LL SEE YOU THERE. 07/29/2010 We've just added a large number of photo galleries over at our Events Page. Go check them out! 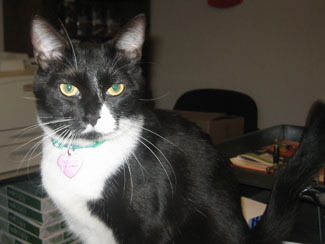 07/08/2010 We now have a page dedicated to our own store mascot, Maxie! You can visit here over here at Maxie's Room. 07/06/2010 If you're seeing this, it means that the re-design of the site was successful. Over the next few weeks I will be adding a few more pages. 06/23/2010 Redesigning the site again. Also added a few more links down at the bottom of the page and fixed a few broken ones. 07/17/2008 I'm going through a major re-vamp of the site that will make it compatible with all broswers (not just IE). To preview what I'm working on now, visit Index2. 07/15/2008 Added Expansion 08 and Employee Photos pages. 06/23/2008 Cleaned up the links on the front and Paint pages and added some new ones. 08/03/2006 Added Nursery and Paint pages under the Store Departments Page. Still working on getting the other Sections up. 07/26/2006 A bit of moving around and organizing the pages. I've added a D.I.Y. Page under the Projects and Planning page and have also moved the Calculators there. Over the next couple of days I am hoping to get some information on the Store Departments page about the different departments in the store. 04/11/2006 lmlumber.com now has a new webmaster! Shandra McCollough has now taken over the job and wishes to make lmlumber.com a handy source of up to date information for both employees and customers.